Mary-Anne O’Connor is the acclaimed author of novels such as War Flower and Gallipoli Street. In these books, she draws on her love of the Australian bush, her fascination with her own family history and her deep, abiding respect for the men and women who carried our nation through turbulent, formative times. 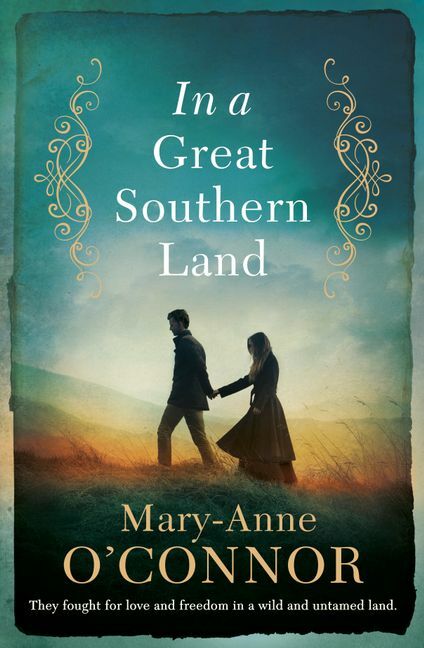 Her latest novel, In a Great Southern Land, is an epic story of the cost of freedom and the value of love, one that spans the globe, from the green hills of Ireland to the battlefields of Ballarat, Victoria. I was born in Sydney and raised in Wahroonga, which is a leafy suburb on the northern outskirts. We came from the middle class side of the highway on a hill so filled with Catholics the locals termed it ‘Vatican Hill’. I was the youngest of six children, three boys, three girls, and I attended the local Catholic schools: Our Lady of the Rosary Waitara, Mt St Benedict’s at Pennant Hills, and St Leo’s College Wahroonga. People often said we looked like the Brady Bunch and looking back at the fashion, we really did. I even had the curls. My brother rocked some pretty serious Greg-style flares too. Dad (Kevin Best) worked in the stock exchange and Mum (Dorn Best) was a school secretary, but when I was twelve Dad made the dramatic decision to become a full time artist. It was a pretty outrageous thing to do, looking back on it, especially with four children still at school, and creative careers were certainly considered risqué. But he was determined to ‘leave the rat-race’ and live the dream. And he worked hard, long hours, well past midnight then back at it early in the morning. Before long he became successful, then very successful with sell-out shows and paintings sold across the globe. It was a wonderful lesson in life to an impressionable twelve-year-old girl. It taught me that creative careers aren’t only within grasp, they can transform your life. He truly loved getting up in the morning and starting work for the rest of his days. When I was twelve I was very into reading and writing, and I spent a lot of time daydreaming down in the local bush or learning guitar. I think I was torn between being an author, an actress or a famous musician. Something creative, at any rate, just like Dad. By eighteen I decided to pursue writing, hopefully for the screen, but I missed out on film and television school by half a mark. That was a turning point. I deferred any further learning and went to work, mostly sales and marketing, spending my wages on travel and backpacking which really knocked the Cindy Brady out of me. I also wrote and recorded an album of songs which no one is ever allowed to hear. Ever. I had serious delusions there. 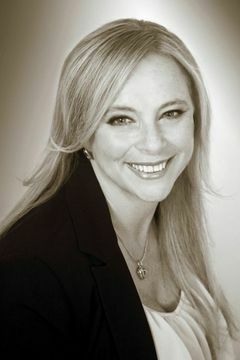 By thirty I had married my childhood sweetheart, sold my business and bought a home. All very sensible, grown up things to do so of course I completely rebelled and did something perfectly insensible by deciding to simultaneously start a family and get a degree. I have no idea why I thought doing both at the same time was a smart move but nothing and no one could have stopped me. I was fiercely determined to do it and I trudged across the uni campus with my swollen belly and books with a stubbornness that would put a mule to shame. A lot of people scratched their heads but my Dad understood. I dove deeply into music and literature studies and rediscovered my passion for words, knowing then that if I could write every day I’d love getting up in the morning too. At eighteen I believed that becoming a published author was practically impossible and I was better off trying to be the new Madonna. I stand corrected. 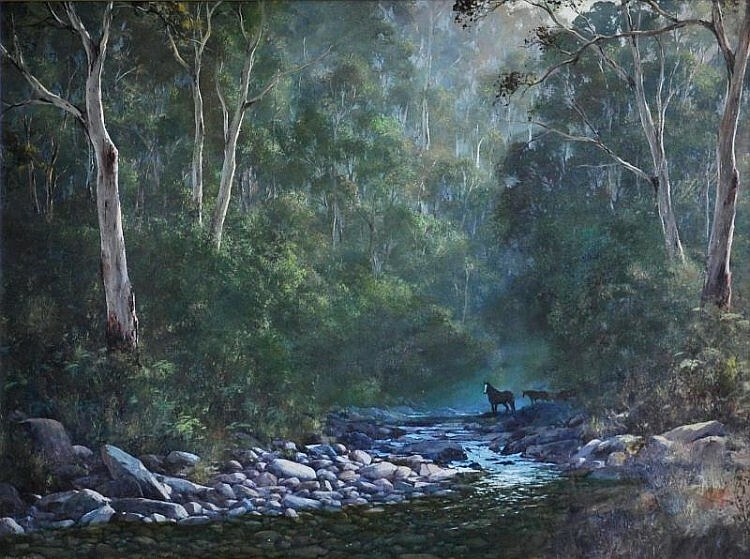 My father’s paintings continue to have a profound effect on me and often inspire scenes in my books. They are ethereal and stories in themselves. If I had to choose a book I’d honestly have to say that Little Women has never quite left me. Jo inspired me to write from the heart and I am forever grateful she did. And music? Ah, such a difficult choice but “Take the Long Way Home” by Supertramp transports me to some other world – there truly are times I feel I’m part of the scenery, the greenery. I’m definitely a hippie at heart. I love words. And writing novels is like being set loose in your own word paddock and being given the opportunity to run in whichever direction you choose. Creatively and artistically, you are free. In A Great Southern Land is about an Irish family emigrating to Australia and is loosely based on my own ancestor’s immigration. Kieran Clancy, the main character, is a kind, good man, but he’s a little wild too and delays settling on the family farm to live it up in Sydney town. As such, he is fated to save poor convict girl Eve Richards from a wretched future and she knows she will be forever grateful to him. That gratitude leads to trust then love, yet the stirring rebellion on the goldfields of Ballarat throws conflict in their path. The climactic events of the Eureka Stockade lead to the choice of a lifetime for Kieran, and loyalties and love will tear at the very fabric of his existence. Ultimately fate will play a hand in what becomes of these two star-crossed lovers, as Australia dramatically enters an age where true freedom is argued to be every person’s right. I hope they find inspiration both from the story itself and the history that underscores it. Hopefully they also feel moved by the character’s experiences, thoughts, and feelings, and reflect on the courage and the cost that lies in our past. But most of all, I hope they walk away with gratitude for the everyday freedom that we take for granted but was once the privilege of only a few in this great southern land. The Bronte sisters. It is almost inconceivable how these young women came up with these, incredible, beautiful, moving stories whist living such secluded, modest lives themselves. 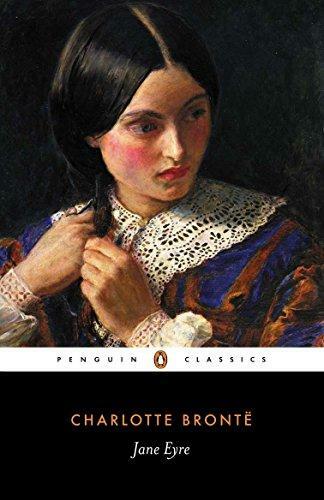 It is amazing to think that Jane Eyre was dreamt up by Charlotte as the Victorian goldfields swelled and politics on the other side of the world erupted. Little would she have known the direct impact she would have on feminism and women’s rights as she penned those famous lines and made her own mark on equality and freedom. I dream of film. I think it’s the frustrated performer in me, or maybe because the Hemsworth brothers really should play my characters at least once. That’s not too ambitious, surely? Someone once told me to work on the craft of writing, for tens of thousands of hours. Perfect it, refine it, rewrite it, and then write some more. They are works of art and they need love and time. I actually believe many people should be published due to their talent but they miss out because they don’t persevere or become discouraged. If it is truly your dream, keep on writing and never ever give up. Being as stubborn as a mule can pay off. From the soft green hills of Ireland to the wild Shipwreck Coast of southern Victoria, the rich farm lands of New South Wales to the sudden battlefields of Ballarat, this is an epic story of the cost of freedom and the value of love in a far-flung corner of the world where a new nation struggles to be born. previous postREVIEW: Star-Crossed by Minnie Darke next postWin with Warndu Mai (Good Food)!